RebateCodes.com offers the most robust referral program in the industry! First, we give you $5 for every qualified new member you sign up. 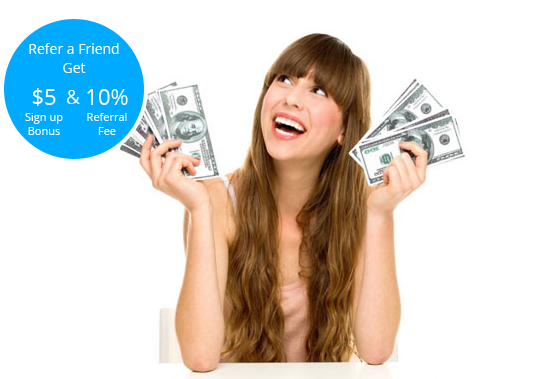 Second, you will earn 10% of a referral's earnings for the life of the account! That's right, you will receive 10% of every referral's earnings for as long as they are a member at RebateCodes.com. cashback you earn from your own purchasing. And as always, RebateCodes.com offers excellent tracking so that you can monitor your referral earnings as they grow. Go to the "Refer a Friend" page on your dashboard to find your personal link which people will use to signup as your referral. You will want to paste this link in all your emails and tweets to friends so that they can easily join as your referral.